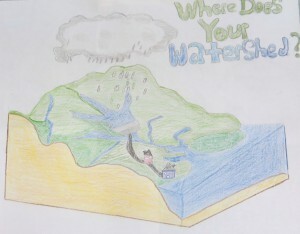 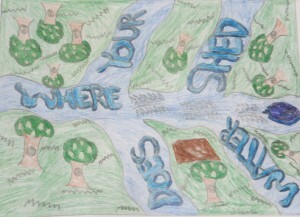 The New Jersey Conservation Poster Contest is an annual contest sponsored by the NJ Department of Agriculture, the New Jersey Association of Conservation Districts and the Ocean County Soil Conservation District, which aims to promote a better understanding of the connection between natural resources and humans, in a fun and creative way that engages students throughout the county, state and nation. 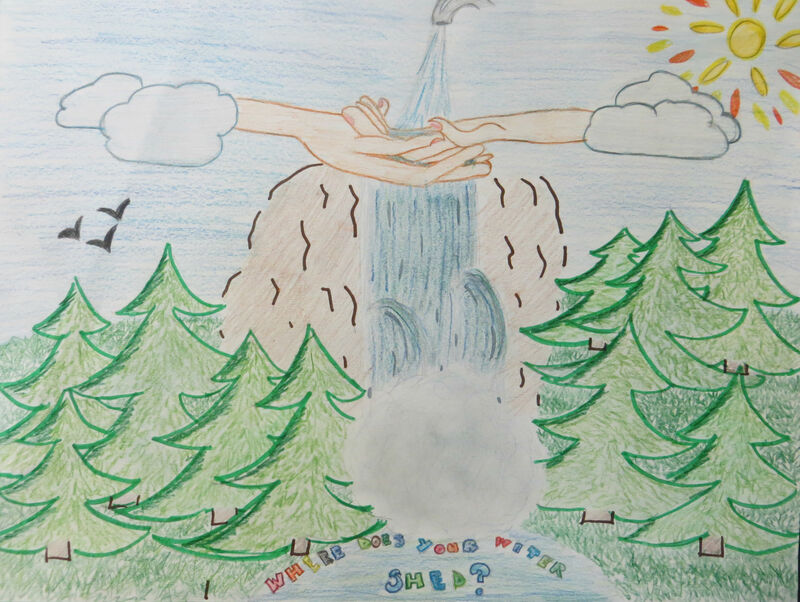 The NJ Conservation 2019 Poster Contest was open to all students from grades 2-12, and was categorized according to grade groups. 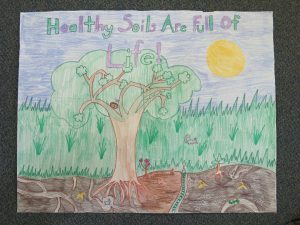 At the county level, the Ocean County Soil Conservation District declared a First Place winner for each grade group. 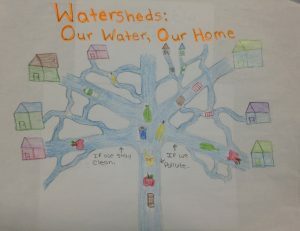 Our Grand Champion Winner is selected among the First Place winners, and is awarded a $50 prize. All First Place winning entries from Ocean County are submitted to the NJ Statewide Competition where they will compete for cash prizes. 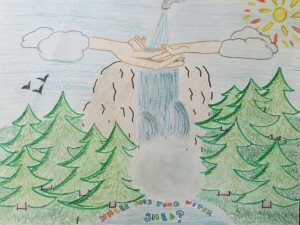 The First Place prize at the NJ Statewide Competition is $200, Second Place is $100 and Third Place receives $50. Winners from the Statewide Competition move on to compete in the Nationals. 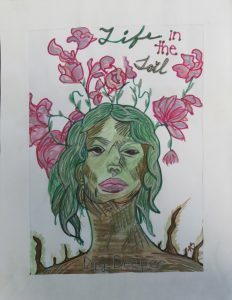 The deadline for entries was February 28, 2019. 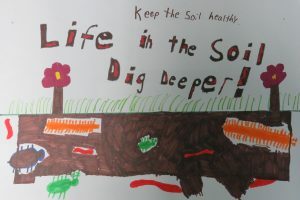 The Ocean County Soil Conservation District is proud to sponsor the 2019 Poster Contest. 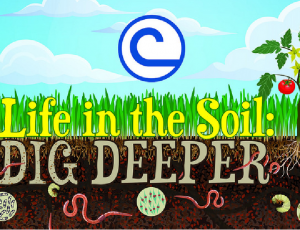 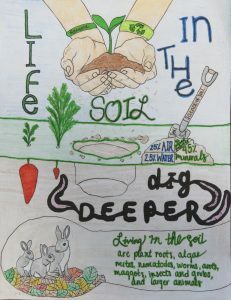 The 2019 Poster Contest theme is: Life in the Soil: Dig Deeper. 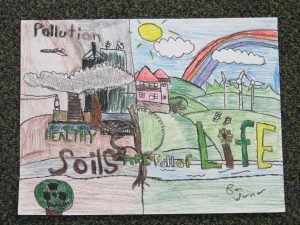 Congratulations to the 2017 Ocean County Grand Champion Winner of the Annual Poster Contest: Grace Boyle, of Cedar Creek Elementary, Lanoka Harbor. 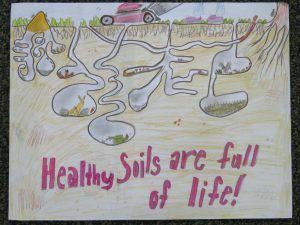 The 2017 theme, “Healthy Soils Are Full Of Life” reinforces the importance of healthy soil as the foundation of our food and forests, and the medium through which our water is cleaned and CO2 is sequestered. 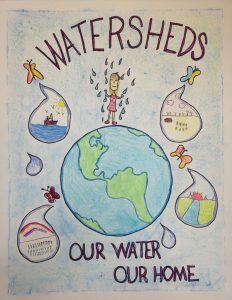 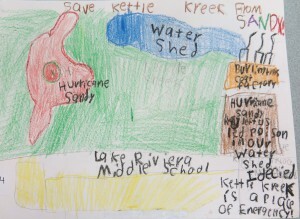 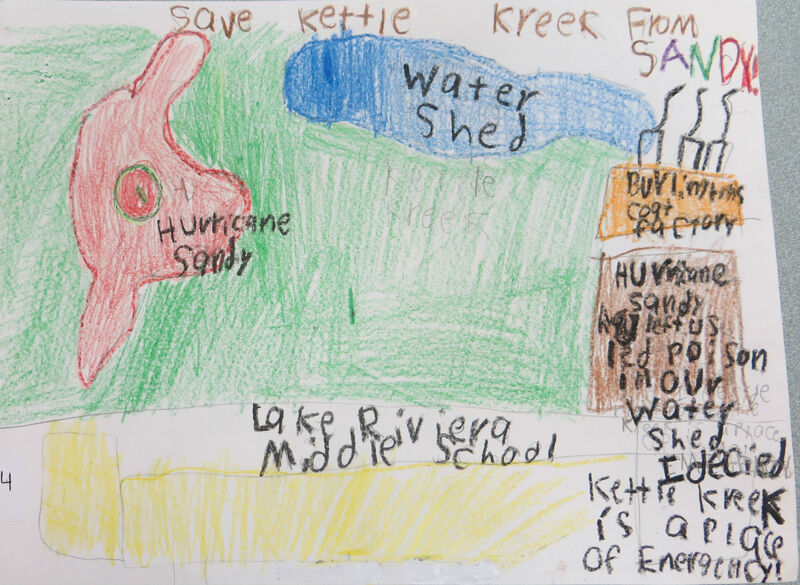 This year’s Poster Contest winning posters are featured below, along with the students’ important conservation message. One First Place Winner is selected from each Grade Group. 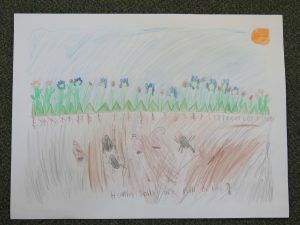 One Grand Champion Winner is then selected from the 4 First Place Winners. 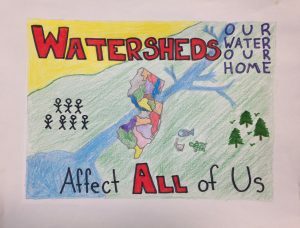 The Grand Champion Winner this year received a $50 cash prize and a $200 prize towards an environmental project at their school. 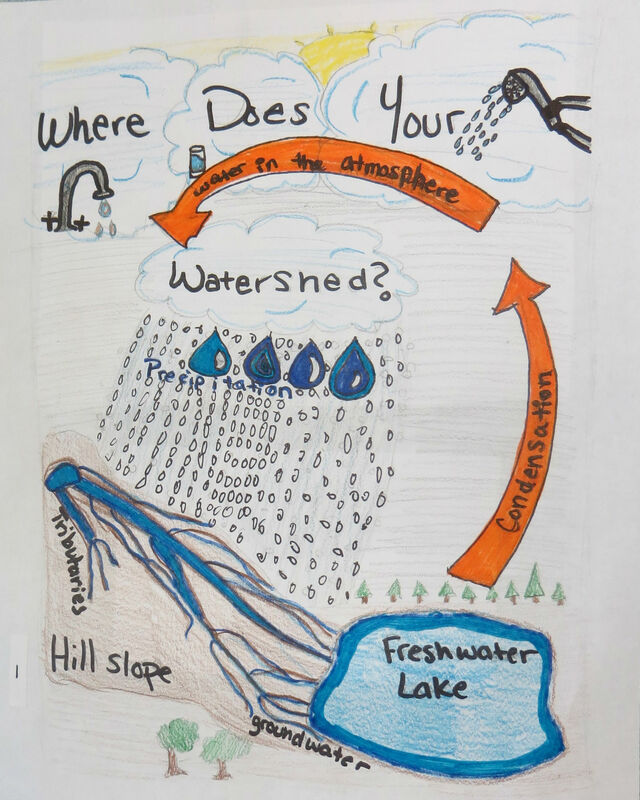 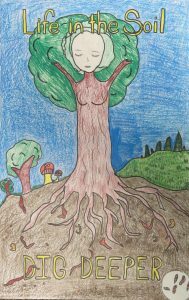 Congratulations to the 2015 Grand Champion Winner of the Annual Poster Contest, Aleia Sabra of Sabra Enrichment School, Manahawkin! 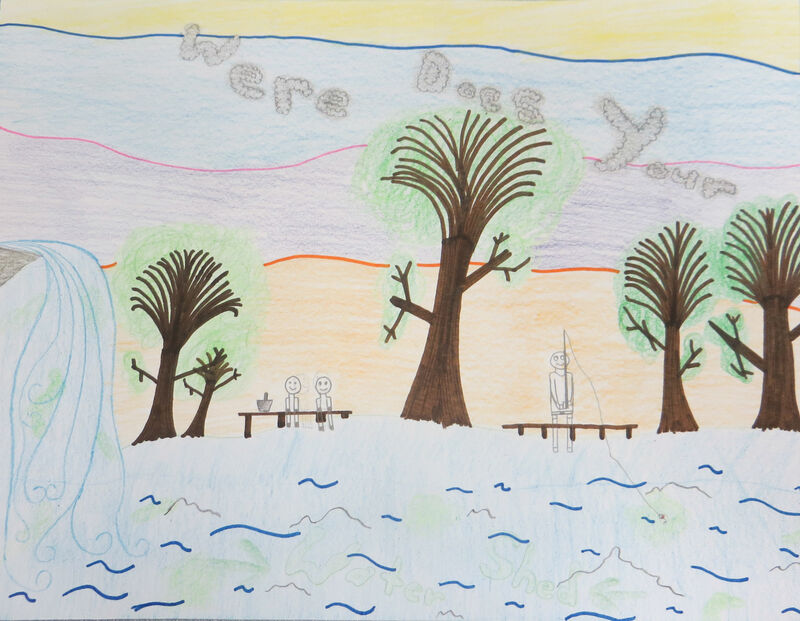 Thank you, and “great job” to all those who participated in the 2015 contest! 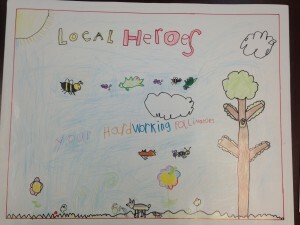 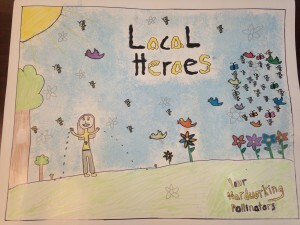 The 2015 theme, “Local Heroes – Your Hardworking Pollinators” is an important one that affects all citizens. 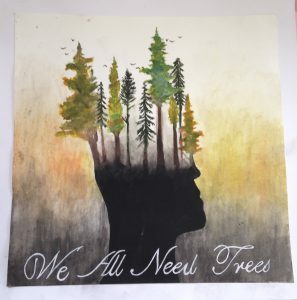 2015 participants learned that pollinators such as bees, butterflies, hummingbirds and other creatures provide us with food, clean air and a safe place to live. 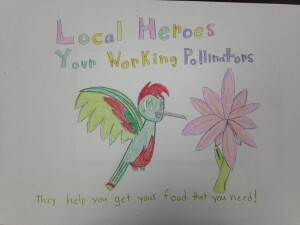 Unfortunately, pollinators are in decline; there are many reasons for pollinator decline. 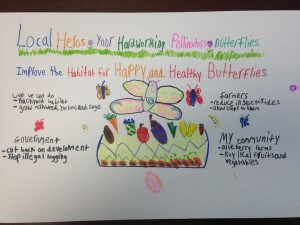 This year’s poster contest participants shared reasons why pollinators are so important and offered solutions to increase pollinators and their habitats.